Inside – There are a lot of factors in deciding to delay kindergarten, but for my family, the biggest reason was to honor our son’s childhood. Here are my opinions and why we’ve chosen this path. We are holding our son back from Kindergarten. Actually, we already did hold him back – this is the year he should be in Kindergarten. But we knew – from birth – that he wouldn’t be. My son is a great kid. He’s bright, he’s social, and he was (by all standard metrics) “ready” for Kindergarten. He was the toddler who had the ABCs memorized at 20 months, could count to 100 at 2.5 and by 4, could read numbers into the thousands. He thinks deeply, questions thoughtfully, and creatively searches for answers to problems. So, perhaps people will be shocked that we chose to hold this child back. This child who appears so ready for Kindergarten. There are TWO reasons why we held our son back: his present and his future. Here in the present, kindergarten has changed. We all know that. It’s been well documented that Kindergarten is the new first grade but let’s stop and quantify what that actually means. Kindergarten used to be a time of exploration, to learn the ABCs, and to grow in social / life skills. I’m sure that’s how you remember your kindergarten experience. But our children face a kindergarten where there is limited time for exploration and social / life skill development. Where tests and standards have put undo pressure on our children (and those who lovingly teaching them). When I taught Kindergarten in 2007, my state’s standard for rote counting was to 31 by June. In today’s Common Core State Standards, it’s now expected that children count to 100 in kindergarten. With curriculum focusing that instruction to November. November to count to 100 VS. June to count to 31. Our children didn’t change. But the standards changed and our kids are being forced to adhere. This just isn’t appropriate for a lot of kids. Reading is big developmental skill and requiring all 5-year olds to be fluently reading by the end of kindergarten would be like requiring all babies to fluently walk by 12 months. Some will, and some won’t, but it’s just not appropriate to expect it of all children. We know kids walk on their own time, they run when they are ready, they learn to ride bikes as their bodies naturally grow and we don’t rush the motor skill development. Then I ask of you: Why is their brain development not treated with the same respect? One of the greatest gifts we can give our kids is to remember that academic skills are just like motor skills: they’ll develop when the child is ready. RELATED: Read more about the changes in today’s kindergarten and its far-reaching impact. So we’re holding him back… but Kindergarten isn’t the only reason and it’s actually a small part of the reason. We call it the “Gift of Time” because that’s exactly what we’re giving our son – time now and time later. Right now, we’re in early childhood and I’m so thankful he didn’t have to rush his way through it. The world rushes enough these days, why are we encouraging young children to grow up faster? 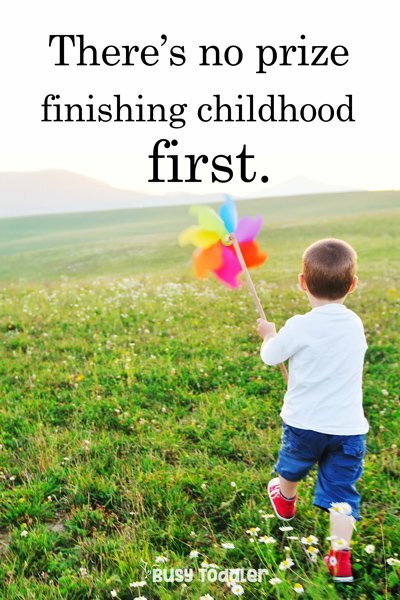 There’s no prize for finishing childhood first. As a new 5-year-old, he didn’t need to rush off to Kindergarten and begin an overly academic life faced with rigid boundaries. He was able to continue to grow his divergent thinking and his creativity before being asked to “sit and work” for six-plus hours a day. 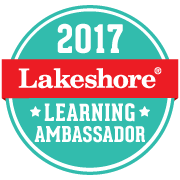 He’s had one more year of developmentally appropriate learning and play, which is exactly what his growing mind needs. Kindergarten has aged up, so I will age my son up. I want my son to be six when he’s asked to perform challenging tasks, like fluently reading. I want him to spend age five learning social and life skills like I did. I want to honor his brain development and help him find his best path to learning. Not a hurry-up path that forces him to learn skills before he is ready. I am not holding my son back to make him the smartest in his class. I am not holding my son back so he will do better on tests. I am certainly not holding him back for sports (you’ll have to trust me on this). I am holding him back partially to make his kindergarten education as developmentally appropriate for him as possible. The way Kindergarten and First Grade were for me. 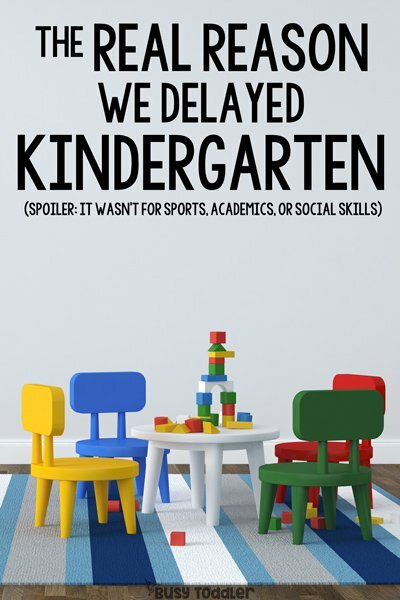 But that’s not the full reason we chose to delay kindergarten. I’m holding him back for his Future Self. I’m holding him back for the middle schooler who has to navigate social media, something I didn’t have to do when I was 12. I’m holding him back for the high schooler who will be making life changing decisions. I want my son to be just that much more mature for all the big life events heading his way. He will be 18 when he selects a college and makes the first in a series of impactful decisions. He will be 19 when he begins college and is asked to choose a future career path. He will have the chance to be a kid one more year rather than rushing away and leaving childhood behind. We are the generation that grew up with Ferris Beuller reminding us that “Life moves pretty fast…” Ferris, you have no idea what it looks like now for these kids. What will my son think of this? My husband was held back. My brother was held back. They’ll tell him there is nothing in life that made a bigger, more positive impact than this decision their parents made for them too. And I will tell him every day that there is no prize for finishing childhood first. Nothing is one size fits all: this is my opinion and what we are doing for my family. Please do and choose what’s right for yours/your child. Am I worried my son will be bored in school? Bored is a word parents use. Kids don’t. Especially not bright kids. They can always find something to do or dream up and forever see the chances to learn. He’ll be no more bored than any other child sitting in a desk all day dreaming of recess. The fact is: only boring people get bored. Harsh, but true. Would I do this for a girl? Absolutely, and maybe even more so. The social media nightmares of middle and high school are real. I’d want her to have some extra maturity for that. For going to college, I’d rather send a 19 year old to pledge a sorority or navigate campus life, than a just-turned-18 year old. Are you allowed to do this? States (and countries) all have different policies on delaying kindergarten registration so make sure to know the “rules” in your area. Are you worried he’ll be bullied for his age? Nope. I was a kindergarten and first grade teacher, and had many children who were held back. Never did I hear of them being picked on for age because childhood is the only time in life when older = better in the minds of the citizens. I checked with others I know were held back and they all confirmed the same: children more envious of their age than anything. Did he go to extra preschool? Nope. Because we set our son on this track from birth, we were able to delay him starting preschool as well and he is currently enrolled in his one (and only) year of preschool. Both my husband and brother repeated the final year of preschool and were totally fine with it. They knew nothing different. THIS. Thank you for putting into words so eloquently all that my husband and I have discussed about our son. We are holding him back too, and it has felt like we are doing the weirdest thing sometimes, but my gut has just never let go of the idea that he needs to be given the opportunity to explore childhood for as long as possible— that developmental time matters! We are actually planning to homeschool for at least the first year or two because I share your concern about kindergarten asking far too much of kids who may not be developmentally ready and I want to be able to hand my kid as much success as possible— he can read when he’s ready, and if that’s not until he’s 7, that’s fine with me. I’m so grateful for the option to make these choices for our kids! Thank you for sharing your decision and for giving me better words to express why we are holding our kiddo back. I found it very encouraging! Thanks for sharing. I’m curious what your thoughts are on Montessori school and if you considered that? My husband went to Montessori for his early years, but it wasn’t a path we chose for our kids. I don’t have any negatives to share or more consideration other than it just wasn’t where our hearts were personally led. Not that’s it’s totally relevant but I’d be curious to know what his birthday month is? I have a June baby and she would definitely be the youngest in her class so it’s something I’ve always wondered about. Hi Kaitlin (spelled just like my Kaitlin! ), Sam is a May birthday – my husband was a June hold back. Thanks for your article! Do you think there is a negative to holding my son back when he just turned 5 on Jan 6? My husband and I have discussed it since we know several people with positive experiences of holding their child back a year. Thank you! Hi Lindsey, I have an early January baby as well and we do plan to send her on time. Of course every child is different! I just haven’t personally come across negatives to holding back – but there are studies that show there is not academic gains made by holding back and many will point out that the child then loses a year of “being in the workforce” and “projected earnings” by exiting college one year later. Thank you sooooo much for this post!!!! In my area, cut off is December, and I have two children born in the second half of December. So if I send my kids to school when they are supposed to, they will be starting Kindergarten at 4!!! I talk to so many people who say oh don’t hold them back, they will be fine! (including Kindergarten teachers!) But my opinion matches yours – let them be kids, our education system expects so much more than when we were in school, and it can cause other issues (i.e. anxiety because they can’t keep up, etc etc). This is probably the first post I’ve read that has the same viewpoint as me – such a relief to know I’m not alone!! And I never really thought of the future ages of kids when they have to do things – so thank you for bringing that up as well!! I started Kindergarten when I was 4 (Dec birthday) and graduated when I was 17. I was homeschooled so my grade/age didn’t matter so much. But we did participate in things were grade/age mattered more, and I did often feel like the little/young one and behind. I always thought it had more to do with me being small for my age, shy, and maybe just not as competent as other people, but maybe it also had something to do with how early I started school. I loved school and remember dying to go to school with my big brothers when I was 3, but was too young, but in other ways I do think it was hard. I stayed home a year after I graduated (took a few long-distance college classes, explored things I was interested in, did some volunteer work, spent a lot of time with friends, etc.) and left home for college when I was 18. That was a really good option for me and probably a great option for other young graduates. We are currently struggling to make the same decision. Send our daughter who turns 5 in July, or wait a year until she is 6. I have one question, do you think a 6 year old being in a classroom of possibly some still 4 year olds will be a challenge. 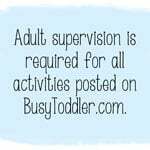 The 4 year olds will likely need more redirecting, taking more time out of the day. Could that be frustrating for a 6 year old? I am not questioning or judging your choice, (I am Team Wait a Year) just wondering your opinion since this thought has crossed my mind when making our decision. Hi Katie, As a former K teacher – I’ll talk from that angle. Kindergarten is a box of chocolates… you never know what you’re going to get. You might get a child who has been to 3 years of preschool and one that has never had any schooling. 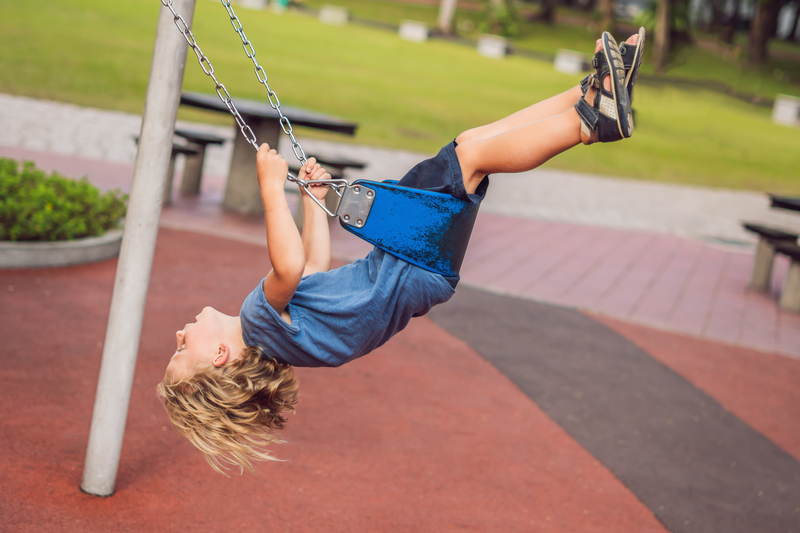 You just never know – and their older age doesn’t necessarily mean better behavior. A four year old with a gentle spirit might be much more compliant in class versus an outspoken 6 year old. Further, I believe very strongly in the benefits of multi-age learning (think back to the original school system with one roomed school houses). My son is currently at a preschool with 3-5 year old kids and is having an amazing time learning with all ages and ability levels. Our current school systems more mirror a factory assembly line. And truth, by the time kids reach about third grade, these age and behavior (and even academic differences) will even out…but kindergarten is always when it is most present, regardless of hold back kids or early entrance kids. Do you mind me asking what month your son’s birthday is? Just curious if it’s October or May. As to how mich older he will be than peers. Hi Meg, he is a May birthday and our cut off is August 31. Yes to all of this! I am a former elementary teacher who held back my August boy and it’s the best thing we have ever done for him. We moved to NY unexpectedly a month before he began kindergarten and I discovered the age cut off here is December 15 versus September 1. It is still crazy to me after a year and a half here that people consider sending their four year old off to school where they are expected to sit and learn for six hours a day. I’ve even had friends here say they’ve tried getting the school to accept their early January children as they’re, “Close to the cut off”. I always want to ask them what their hurry is. Childhood is definitely not a race. I completely agree and think this decision is a very smart one. I have a January born son, an August born son and an August born daughter. My August son went to K “on time” and he is now in middle school, I think he could have benefited from an extra year at home. My daughter is only 2.5 but I am definitely planning on delaying K one year with her. The only caveat is that both sons agree that the older kids in their grades that were held back are perceived as “weird” and “not that smart” because they were held back. I agree being older is “cool” in K and first grade but I guess it’s not so cool in middle and high school. They keep saying I can’t do that to their sister but I am determined to make the right decision for her. Thank you for your post and sharing your experience and thought process. I am so on board with this. I also taught K pre and post-Common Core and have seen the changes. I also have a socially and academically ready, if not advanced 4 year old. Here’s my question for you… She is currently in an amazing (free!) preschool program that will not be an option next year. I’m thinking about keeping her home next year and trying to do your preschool curriculum. This seems a little out of order. Any thoughts? I think you do whatever is right for you and her, and if you want her to be home with you next year instead – go for it! It might seem backwards to some, but if it’s what feels right in your heart – who is to say otherwise. I have also done this for my son this year he is doing one more year of preschool. He will start kindergarten at six years old for all the reasons you mentioned above. He’s an August baby and so we felt it would be best to have him go in at six years old. I know many that say this is not something we will look back on and regret. We will never need to question ourselves, because adding more childhood to a child’s life is essential these days. And he will be better equipped when he’s going into those teen years with a brain a little more developed. Thank goodness. Thank you for writing this in such a well-thought out and researched manner, with specific examples. You’ve articulated many of my own thoughts. I’m also a previous teacher now with a 2 and a half year old. 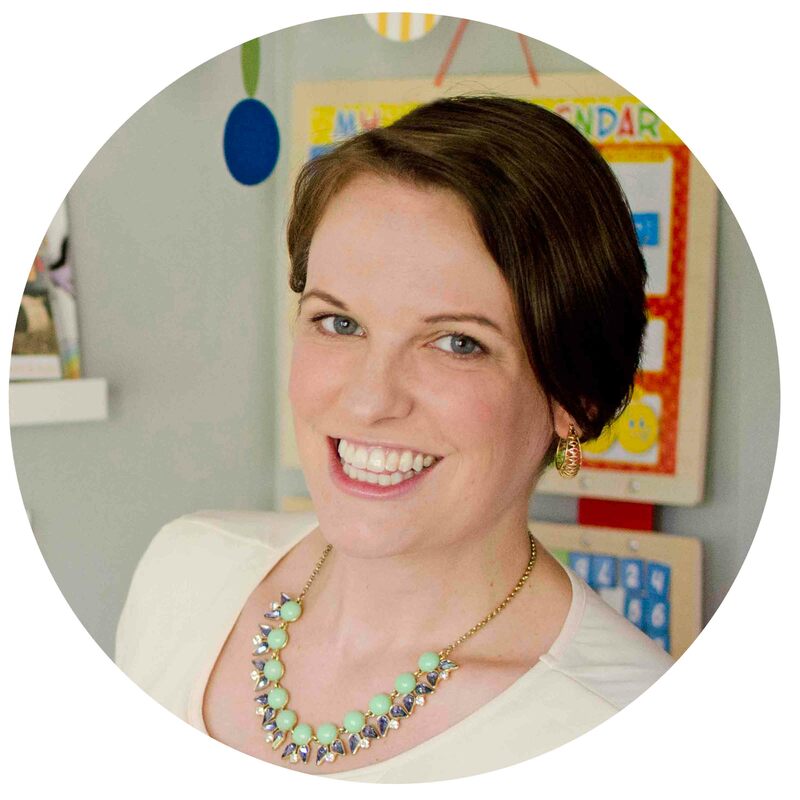 I’m bookmarking this page as I know this question arises often with other moms or mom groups. Thank you for this resource! I recently found your IG page and blog from a friend’s recommendation and I’m so happy I did! I agree with many if not most of the things you said here. Requiring children to count from 1 to 100 in K is ridiculious. And, the prereading requirements you mentioned, if accurate, are not appropriate. Especially so for lower income children who may not be exposed to materials in the home that yours appear to be able to access. But, if your son counts to 100 and can read by 2 1/2 your reasons for holding him back don’t work. I am guessing it IS for sports or for social dominance which is worse. Hi Anne, Thanks so much for reading my post and for your thoughts. To clarify, I linked to the reading fluency standard taken directly from the Common Core State Standards – you are welcome to click that link and read all the Kindergarten standards. My son DID NOT know how to read at 2.5, and that was never stated or implied in my post. As for sports, my son is enrolled in none and shows no interest. He is not planning any social dominance in his future, just a child trying to make the most of his youth with parents who value kids being kids. Have a wonderful day! I want to share my experience as an academically ready 4yo. I was dying to go to school with my big brothers when I was 3 and was reading simple books when I was 4. I started K when I was 4 1/2 and was reading and writing quite well when I was 5/6 (1st grade). I liked school and did just fine academically, but I do think there is more pressure and it can be harder for the younger ones. Academics aren’t the only thing going on. Plus, areas where a child might be bright or advanced at an early age might even out later. And in my experience, being ahead can make a child feel BEHIND. Thank you for this article! This is something that my husband and I are struggling with right now. My sons birthday is late August so he meets the cutoff to start Kindergarten in the upcoming school year. Because of how late his birthday is, he will not turn 5 until after he is already in school for a few weeks. There are some many very strong opinions on what we should do that we are getting confused ourselves. Hi, I really enjoyed your post. We’ll be holding our son back because his birthday falls in September while our school cutoff is August 31st. Works for us because I’m a currently a SAHM going back to school part time so I can have a new skill set by the time my child is in kindergarten. We are lucky enough to be able to afford me staying home while living on one income. Many parents don’t have the luxury of making a decision to hold their child back, even if they want to. Single parent households, lower income, or parents that do or need to work probably can’t choose to keep their child back a year and I wanted to mention that. I don’t want to forget the parents that have to send their child to kindergarten earlier than they may want to for financial reasons because they can’t afford childcare, preschool, or to not work. I think holding your child back is a good option if it’s right for your child and family but I’d also like to see parents band together and fight back against earlier testing standards, especially for those families that don’t have an option to wait. Some food for thought. Thanks! Father of two late June twins here. We will be sending our kids to Kindergarten on time. First, by your own admission, your child is developmentally capable of going to kindergarten. He know his ABC’s and can already count to 100 and deeply interact with numbers. So your argument that expectations are too high rings hollow. It sounds like he has already met those expectations and would be completely capable of flourishing in Kindergarten. Secondly, you fail to account for the impact of your choice on kids who do enter Kindergarten on time. Your little genius child is going to be even more developmentally advanced when he finally enters Kindergarten at age 6 years, 3 mos, where (Assuming an October 1 cutoff date) he will be interacting with children as much as a year and a half younger than him. How is that fair? Your profoundly privileged choice to unnecessarily hold back your son is in fact a detriment to all the kids who are going to kindergarten on time. Every non-privileged kid is going to spend their entire school career trying to play catch up to your kid. This is another example of parents born on third base who want to engineer their child into believing he hit a home run. You may say its not about academics or sports, but you admit it is about making sure YOUR kid is well ahead of the developmental/academic expectations, which amounts to the same thing. Holding back a child who is actually ready for Kindergarten, to make him “more ready” is a profoundly selfish and privileged choice. Scot, I’m so happy you have made your own decision for what is best for your twins. I must apologize as my writing perhaps was unclear. It seems I failed to convey a few key points in my post. I am holding my son back for his FUTURE self, not the present Kindergarten self. This choice is about looking into his future, and particularly his age at time of high school graduation. You are correct that my son is ready for kindergarten, but sadly that is a kindergarten of 30 years ago – where 1/2 day Kindergarten and play-based programs reigned. He would have thrived. Instead, this is my best option to prepare him for the rigors of all-day school, standardized testing, and direct instruction learning. Again, I’m glad that you have made a firm decision for your children. What a great privilege to have a parent who cares so deeply. I’m both an educator and a parent who gave my now 19 year old son an extra year. It’s a decision we’ve never regretted. He had a May birthday. In Middle School, he made good choices and surrounded himself with positive peers. In High School, he could handle the academic rigor and peer pressure. Socially, he was a leader because he had maturity on his side. Best of all, we sent this 19 year old to college ready and equipped with the skills to navigate the freedoms given in College. Best of all, we had him at home for an extra year. Please consider all of the future benefits that come from giving children an extra year to grow, mature, and be a kid.